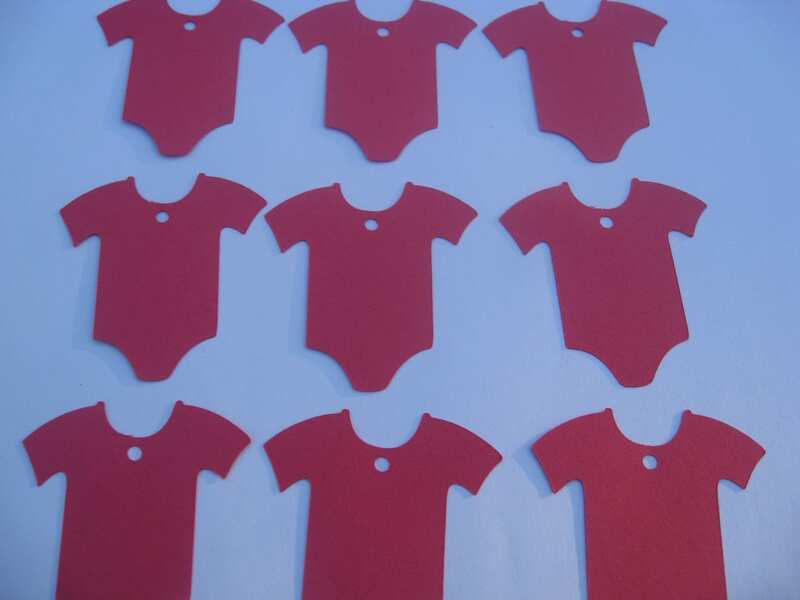 50 ONESIE Tags. 4 inch. Bubblegum Pink. Or Your CHOICE of COLORS. Custom Orders Welcome. Showers, Gifts. 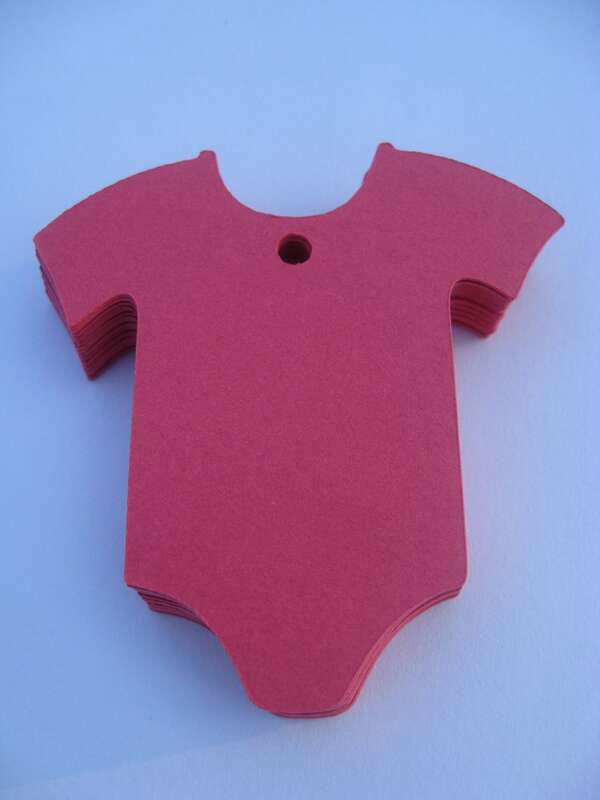 These die-cut ONESIE tags can be made from any color of cardstock you would like! 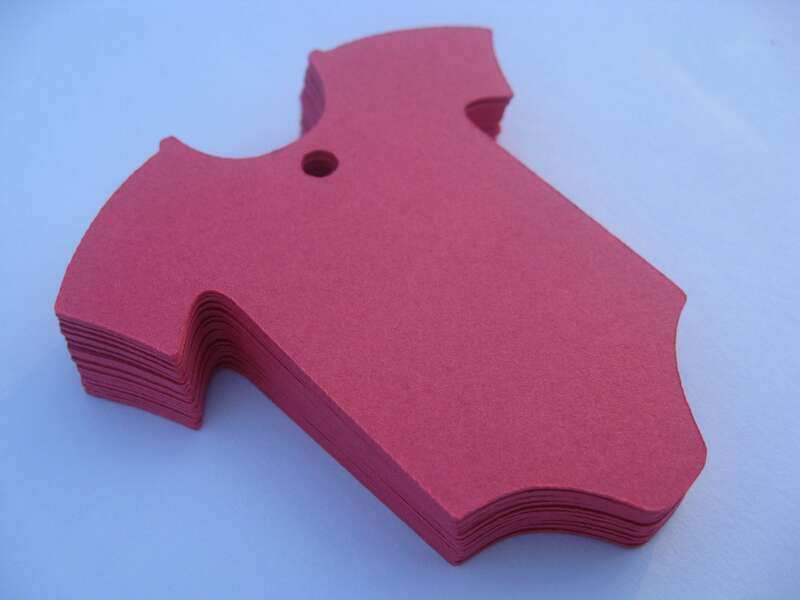 This listing is for 50 tags, each tag measuring 4" tall. 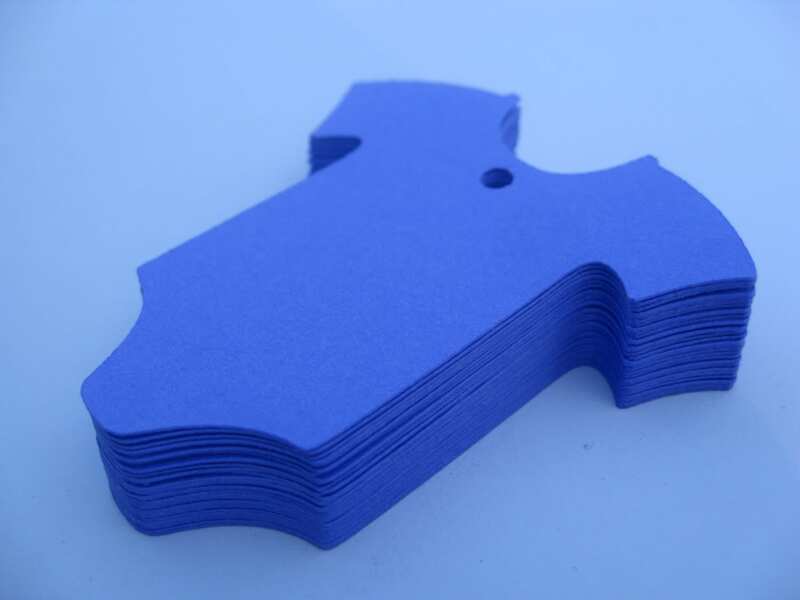 These are great for gifts, name tags, labels, thank you notes, cupcake toppers, or anything else you would like to use them for!!! 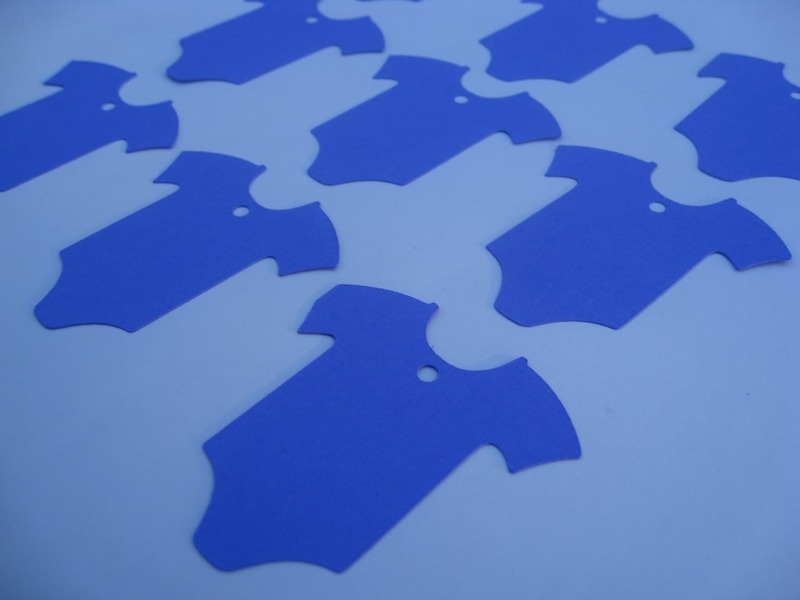 This listing is for 50 tags in any colors you want! There are examples of colors in the last two pictures. If you don't see a color that you want, just ask! I can get it!